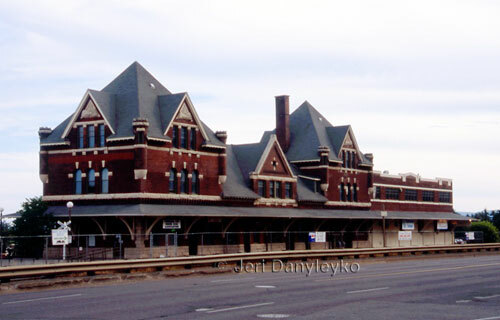 The early CPR Station in Fort William was located at Bethune and Hardisty Streets. It was replaced by the current structure on Syndicate Avenue in 1910. This station is now a designated heritage property. It remains in use by the railway. The first CPR Station in Port Arthur was built around 1884. It was originally located on Van Horne Street but later relocated to Graham Street, where it was destroyed by fire. A new station with a striking clock tower was built in 1907. It lasted until 1976 when it was demolished. 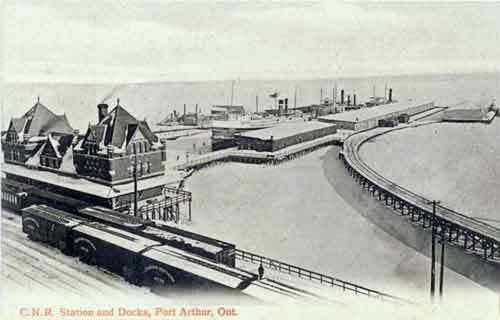 The former CN Station in Port Arthur was built by the Canadian Northern Railway (later Canadian National Railway) in 1901. It was used as a passenger terminal until 1977 when it was sold to the city. 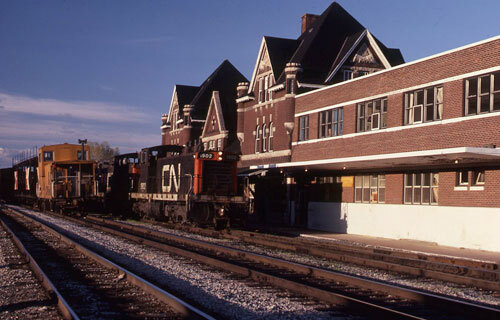 Officially known as "The Railway Heritage Building," it's used by small galleries and as a tourist attraction. 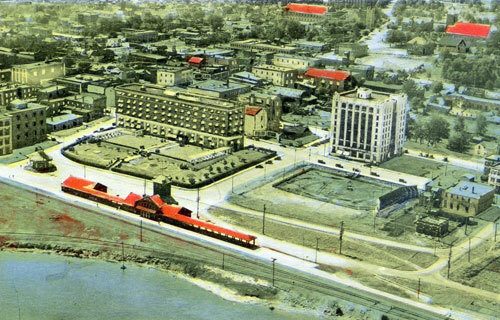 In 1970 the two adjoining cities of Fort William and Port Arthur were merged to form the city of Thunder Bay.